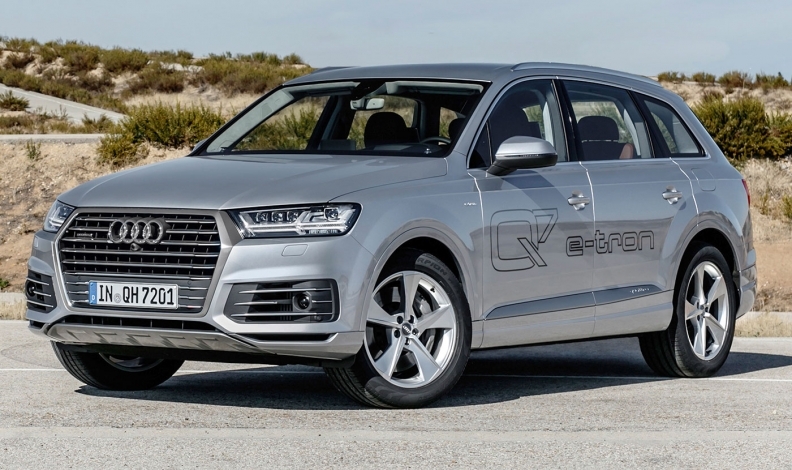 For now, Audi is focusing on electric vehicles such as the Q7 e-tron. FRANKFURT -- It wasn't quite the ringing endorsement hydrogen fuel cell fans wanted to hear. Speaking on the eve of the auto show here, Volkswagen Group CEO Matthias Mueller broadcast his company's sprawling electrification plans for the next 12 years: $24 billion invested in zero-emission vehicles, 80 new EVs by 2025 and an electric version of all 300 group models by 2030. Yet fuel cells registered barely a footnote from Mueller, who said only that production hydrogen vehicles from Audi — the VW brand spearheading its fuel cell efforts — would arrive "one of these days." The tepid outlook from VW Group could ripple across the industry by slowing or discouraging the adoption of fuel cell technology, which will require increased global scale and infrastructure investments to catch on in consumer vehicles. "The worst thing you can do is kind of half bake electric, then go off on another science project with fuel cells, then go running to another science project," Scott Keogh, president of Audi of America, told Automotive News on the sidelines of the Frankfurt show. VW Group is squarely focused on preparing for its onslaught of EV models; the first fully electric Audi is set to arrive in late 2018 as the e-tron Quattro midsize luxury crossover. A trio of more-affordable VW electric vehicles will start arriving in 2020 under the I.D. subbrand. VW Group is also tending to the Electrify America subsidiary it created as part of its settlement with U.S. and California regulators over its diesel-emissions violations. That outfit has pledged $2 billion over 10 years to build charging stations across the U.S. to sustain what it sees as the slow but inevitable arrival of mass EV adoption. Only after these EV-centric efforts get moving will VW Group turn any meaningful attention to fuel cells. Keogh estimated that Audi would have "limited fleets" of hydrogen test vehicles on the road within five years; vehicles for consumer use wouldn't arrive until after that. 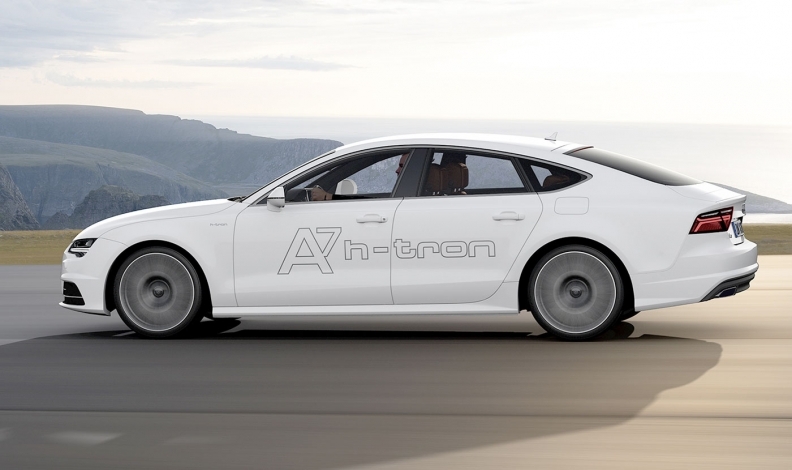 Hydrogen fuel cell cars like the concept A7 h-tron may come down the road. That would put Audi and parent VW years behind many of its rivals, including Honda, Toyota, Mercedes, Hyundai and General Motors. And unlike Honda and Toyota, which have worked with hydrogen fuel companies and providers — and the state of California — to build additional hydrogen stations, Audi has no such plans, Keogh said. "Every time another manufacturer starts to lean more on EVs and throw more resources at them, it pushes the momentum more towards that solution," said Karl Brauer, executive publisher of Autotrader and Kelley Blue Book. Enthusiasm for consumer fuel cell vehicles is already fragile. Two of hydrogen's earliest proponents, Toyota and Hyundai, recently backed off their bullishness on the technology and started to focus more resources on battery-electric vehicles. Honda, another early pioneer, remains steadfast in its belief in fuel cells; executives there say if battery EVs prove to be the future, Honda can switch to supplier-based systems with little trouble. The VW approach is the opposite, hedging its bets on fuel cells but focusing on EVs. "I'm sure [VW Group] thinks that at some point the technology and cost of fuel cells will all make sense in certain circumstances like commercial use, and they want to have a stake in that game when it does," Brauer said. "But everything you heard in Frankfurt was dead set on EVs as the near-term solution."